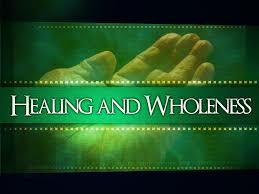 Please join us for our Service of Healing and Wholeness on Wednesday, December 5 at 6:30pm. Those in need of healing will experience the laying on of hands, anointing with oil and special prayers for healing and recovery. People will also be able to remember and offer prayers for friends or loved ones. Join your church family in this very meaningful expression of love and caring.